- Shake the bottle before use. - Pour 2 - 3 capfuls into running water. - Do not bathe in for longer than 20 minutes. Tip: For use in the shower, use a few drops on a moist cloth and wash skin as normal. INCI: Water (Aqua), Rosmarinus Officinalis (Rosemary) Leaf Oil, Fragrance (Parfum)*, Potassium Olivate, Limonene*, Linalool*. *from natural essential oils. 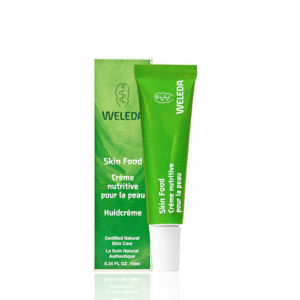 Save 20% PLUS receive a FREE Weleda Skin Food when you spend £20 on Weleda.